Using Birth Control Pills May Increase Women's Glaucoma Risk : Shots - Health News The ebb and flow of estrogen levels in a women's monthly cycle may have a protective effect on the eye's retina, ophthalmologists say. And that fluctuation could explain a possible connection between birth control pills and glaucoma. Women who have taken the pill a long time may want to consider glaucoma screening. Estrogen affects cells in the eye's retina, which may help explain a possible link between glaucoma and estrogen levels. Taking birth control pills may increase a woman's risk of eye disease later in life, a study finds, because they may reduce protective levels of estrogen. Doctors have long known that cells in the eye have estrogen receptors. But in the past few years they've started looking into whether the changes in a woman's estrogen levels as she goes through life could affect her risk of glaucoma. The eye disease slowly damages the optic nerve and is most common in people over 40. There are treatments that can slow its progression, but there is no cure. In this study, researchers looked at data on 3,406 women over 40 who participated in a big national health survey administered by the Centers for Disease Control and Prevention. The women who had taken oral contraceptives for more than three years were more than twice as likely to be diagnosed with glaucoma. But the absolute risk of getting glaucoma after age 40 is small, about 1.86 percent, according to the CDC. So doubling that risk would bring it up to a bit under 4 percent. And there's no proof that taking birth control pills, which contain hormones that keep estrogen levels from peaking midway through a woman's monthly cycle, cause the apparent increased risk. There could be a relationship between eyesight and estrogen, though. 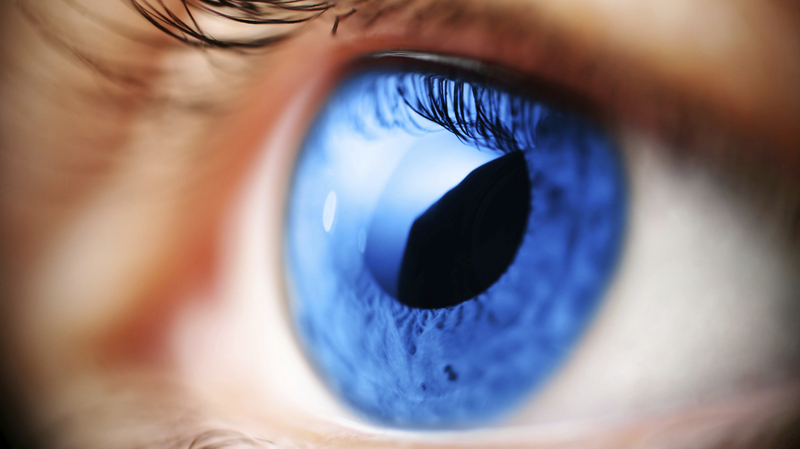 Scientists have long thought that the hormone could have a protective effect on the eye's retina. So it makes sense that the pill, which lowers a woman's total exposure to estrogen over a month, could affect her eyes, says Dr. Shan Lin, a professor of clinical ophthalmology at the University of California, San Francisco, and senior author of the study. Birth control pills suppress cyclical spikes in women's estrogen levels, Lin told Shots, and over time that dampening may contribute to retinal damage. Women shouldn't stop using birth control pills based on this study, Lin says. A lot more work needs to be done to find out if this apparent connection is real or just a coincidence. But women with higher risk factors for glaucoma, including African-Americans and those with a family history of glaucoma, should be aware, Lin says. "If you've been using oral contraceptives for a long time, that may be enough indication for you to get screened for glaucoma." Glaucoma tests, which measure pressure in the eyes, are fast, painless and inexpensive, and typically performed as part of routine adult eye exams. Lin's research was presented at the American Academy of Ophthalmology conference Monday in New Orleans. The only other large study looking into the estrogen-glaucoma connection is a 2011 publication from the Nurses Health Study. It found that women who had used birth control pills for more than five years had a 25 percent increase in their glaucoma risk, what the study authors called a "modest" increase. The nurses study followed almost 75,000 women over age 40 from 1980 to 2006. Though there's no way to tell if taking the pill caused the increase, the authors concluded: "These data add further support for a role of circulating estrogen in the pathogenesis of [glaucoma]."